So the Renault Captur SUV-crossover is about to launch in India. Those of you who have gone through our new 2017 Renault Captur Test Drive Review would know that the new SUV is a well-sorted model that looks ready to take on the likes of the Hyundai Creta. The India-spec Captur is the only RHD model to be built on the BO platform. But wait, here’s a catch here. The Captur for us is much like the Kaptur, for Russia, and not the Captur for Europe. Confused? We are not surprised. Here’s our Renault Captur vs Kaptur comparison to clear all your doubts. Once again, we would like to point out that the India-spec Captur is close to the Russia-spec Kaptur. However, our comparison post here will compare all the three versions to make sure there’s a clarity on how the three models compare with each other. Starting with the engines and transmissions on offer, it’s really tough to draw a parallel between the Europe-spec Captur, India-spec Captur, and Russia-spec Kaptur. Also, while the Europe-spec model is based on Clio’s platform, the new SUV for India shares its platform with the Duster on sale here. Even the Russia-spec model uses the Duster’s M0 platform. Europe: The European-spec Captur gets a couple of modern petrol turbocharged engines that are high in both performance and fuel efficiency. Also on offer is the same K9K 1.5-litre Diesel engine that is also available in India. For the Euro-spec car, it is available in two power tunes. 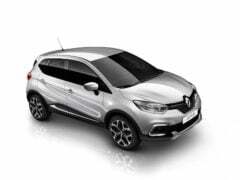 This Captur offers three transmission choices- 5-speed manual, 6-speed manual and the 6-speed dual-clutch automatic. Both two-wheel drive and four-wheel drive options are available. Russia: The Kaptur SUV for the Russian car market gets two engine choices, both of which use the unleaded. These engines displace 1.6-litre and 2.0-litre respectively. Both 2-wheel drive and 4-wheel drive variants are on sale. There are four gearbox options- 5-speed Manual, 6-speed Manual, 4-speed Manual, and CVT. India: The India-spec Captur gets one petrol and one Diesel mill. The petrol engine on offer is the same 1.5-litre H4K that powers the Duster. For now, the new Renault SUV gets the 5-speed Manual transmission only and there’s no CVT at the moment. The Diesel engine on offer also comes from the Duster. It’s the same globally acclaimed 1.5 K9K motors in the 110 PS state of tune. The engine comes mated to a 6-speed Manual Transmission. However, there are good chances that an automatic gearbox will launch sometime later. As can be seen in the comparison table above, the India- and Russia-spec models are significantly larger than the Europe-spec model. This is because the European car shares its platform with the Clio hatchback. On the other hand, the other two versions of this crossover-SUV share the platform with the Duster. Of the three, the Indian version also enjoys the highest boot space and the highest ground clearance. Well, all the three look almost the same at the first glance. However, a closer look reveals a few differences. 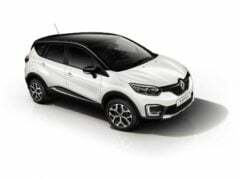 Firstly, the major difference arises out of the larger dimensions that the Russian Kaptur and the Indian Captur possess. Also, the European-spec car gets a slightly different set of headlights. Along with this, the rear quarter glass on the European model is different. Thanks to the larger dimensions, particularly due to the increase in length and width, the Russian and the Indian models get a larger rear quarter glass. Other than this, there are several other minute differences, such as different paint schemes and design of the alloy wheels. Out of these three, we think the India-spec model looks the best owing to its larger dimensions and an aggressive stance due to the highest ground clearance. The differences in the interior are even lesser. The Russia-spec Kaptur SUV offers a slightly different steering wheel. Also, it gets the MEDIA NAV infotainment. The European model gets the R-Link infotainment unit. The India-spec model also gets the MEDIA NAV. Sadly, the system is yet to be updated with Android Auto and Apple CarPlay. The Indian model gets a black-white leather upholstery instead of the all-black affair on the European model. Also, at 392-litres, the boot space of the Indian version is the highest of the three. However, the Euro model seems to get richer plastics and a slightly more premium feel. So, what do you think of our Renault Captur vs Kaptur comparison? Is there any other parameter in which you want us to compare the three models? Share your views with us by penning them down in the comments section below. Also, stay tuned to CarBlogIndia for latest news updates on the new 2017 Renault Captur crossover-SUV.